Pictured: General Tso’s Chicken. Photo Credit: Ian Cheney. General Tso’s Chicken – just the name itself is enough to make most Americans salivate a bit, as they picture the crunchy, deep-fried chicken dish with its savory sweet and spicy sauce that can be found in many Chinese restaurants across North America, small towns included. But apart from its unforgettable and distinctive taste, this staple of the Chinese-American cuisine scene has long remained a mystery in terms of its origins – that is, until now. Addressing the question that most connoisseurs have asked themselves either in thought or in conversation while devouring this gastronomic masterpiece, Emmy-nominated filmmaker Ian Cheney has taken viewers on a poignant journey through his newest venture in discovering not only who General Tso was, but also unraveling the historical, traditional, and cultural significance of Chinese fare on American life. Aptly named The Search for General Tso, the 71-minute documentary, which had its world premiere at the Tribeca Film Festival this past Sunday, is an introspective look at the immigrant’s legacy to the American food scene as well as an examination of a man who was a momentous and respected figure in China’s history, and remains as such to this day. Cheney, who received both his Bachelor’s and Master’s degrees from Yale University, is something of an environmentalist advocate and foodie, as can be seen by his choice of projects, from King Corn (a story revolving around the role of corn in the current epidemic of type II diabetes and obesity in America, for which he was awarded a George Foster Peabody award) to Truck Farm, a 2010 film that explores urban agriculture. Further showcasing his love for this type of cinematography, Cheney runs a small film production company together with a few other industry folk that goes by the name of Wicked Delicate, which has offices in Brooklyn, NY and Massachusetts. And when not involved in the world of film, the enthusiastic and radiant documentarian can be found traveling, giving speeches and workshops on grassroots filmmaking and our connection to the natural world at various venues across the nation and world. Between attending the premiere of his film at the Tribeca Film Festival and working on three new films — Bluespace, North Stars and The Translators — Cheney took the time to discuss what fascinated him about this quintessential Chinese-American dish, his search for General Tso in Hunan province and visiting the man who we have to thank for this creation, and what he’d like viewers to take away from his film. GALO: Many have wondered where General Tso’s Chicken originated from and who was this General Tso character, mainly when consuming the dish. What fascinated you about this subject so much that made you want to make a documentary about it? Ian Cheney: When the idea for the film first struck, I was sitting in a small Chinese restaurant off the highway somewhere in Ohio, eating General Tso’s Chicken with my best friend. The question of General Tso’s identity was actually part of a larger question: how did it come to pass that every small town seems to have a Chinese restaurant? It seemed likely that exploring the origins of this ubiquitous dish would yield some insights into an amazing segment of our culinary landscape — the story of Chinese-American food itself. GALO: Crystyl Mo, food editor of Time Out Shanghai, brings up an interesting point concerning General Tso’s Chicken at the beginning of the film when she says, “I haven’t seen it directly on a menu in China.” As the film moves further along, we see that the average folk in China have never seen this dish or tasted it (even though it is now available in several parts of the country). After having completed your research, why do you think this dish is so popular among Americans and Chinese-Americans and not so much amongst the native Chinese, especially given their respect for General Tso (as seen with the symbolic General Tso liquor as well as the museum and school in Hunan province)? What makes it a more American dish, despite the historical significance and patriotism that the real General Tso brought to modern China? IC: One of the things that struck us when visiting China was the preponderance of KFCs. Especially in Shanghai, they seemed as ubiquitous as Starbucks’ are in New York. So while the General was busy conquering America, was the Colonel conquering China? That’s a subject for another film, but I mention it to playfully suggest a few things: first, our culinary tastes — from one culture to another — aren’t necessarily as irreconcilable as one might think. Human beings seem to enjoy fried chicken! Especially with sauce! Not a bold theory there. Second, perhaps the gentle foreignness of General Tso’s Chicken delights Americans. Would we gobble up General Lee’s Chicken with the same fervor? 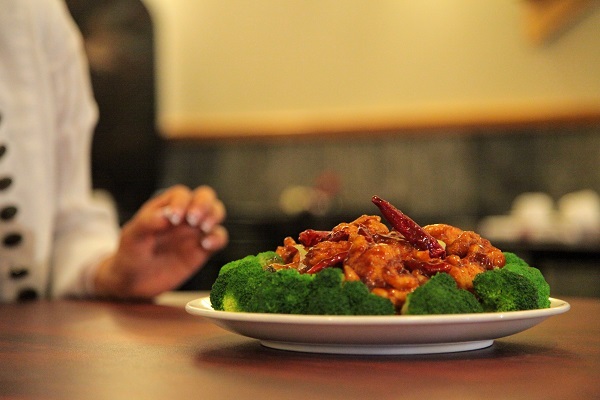 That being said, the question lingers: could General Tso’s Chicken conquer China? There is a strong tradition in China (I’m told) of chefs naming dishes after famous figures. The name shouldn’t be a problem…but the dish? As served in America — generally sweet big chunks of chicken, served with broccoli — it’s pretty far from what you’d find on most Chinese dinner tables, but as we’ve seen, the General excels at adapting. Maybe he has a bright future in his home country, but it will be smart local chefs who figure out how to make it work. GALO: Your documentary isn’t just an exploration of General Tso and the dish named after him, rather it is also a historical vignette of the Chinese immigrants’ struggle and the Chinese-American culture, both in food as well as in social facets. Why was showcasing all of these elements important to you for the backstory of this film? IC: [American author] Wendell Berry famously quipped that eating is an agricultural act. But it’s also a cultural act. Many Americans’ only “direct” encounter with Chinese culture is through their local Chinese restaurant. How much do most of us know about the challenges that have shaped the Chinese-American community over the past century and a half? It’s a story that needs telling. Our film only explores one tiny corner of it, but hopefully it will be a part of the conversation about the way America still struggles to live up to its ideals.